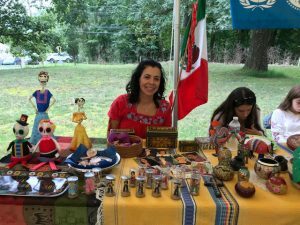 Several thousand visitors from Bucks and surrounding counties visited the 19th annual Peace Fair in Lahaska last Saturday to learn more about what area nonprofits are doing to promote peace, social justice, healthy living and a variety of other causes. Among the more than 100 exhibitors and vendors were tables supporting women’s issues, disabled veterans, and native Americans. Other exhibitors helped voters contact their congressmen or sign petitions on redistricting, the environment and gun control. The Girls Scouts and YMCA were represented, along with several schools, camps and home schooling organizations. 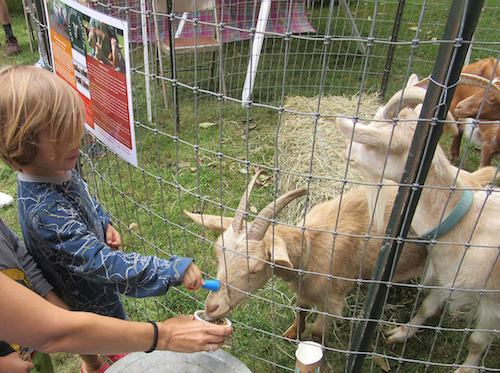 There were also booths promoting healthy living, meditation and reiki for kids, who were also seen playing with puppies being trained as Seeing Eye dogs, feeding goats brought by the British Goat Society, and petting greyhounds looking for adoption homes. 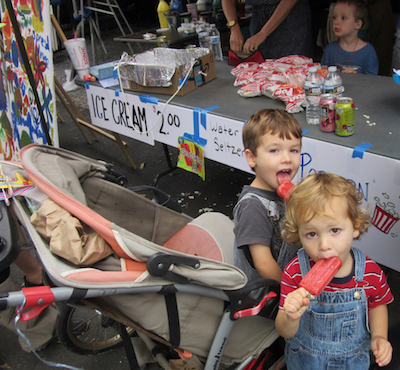 Toddlers enjoyed the self-powered Peace Train, while older children and teens helped out with the many tasks needed to run the fair. 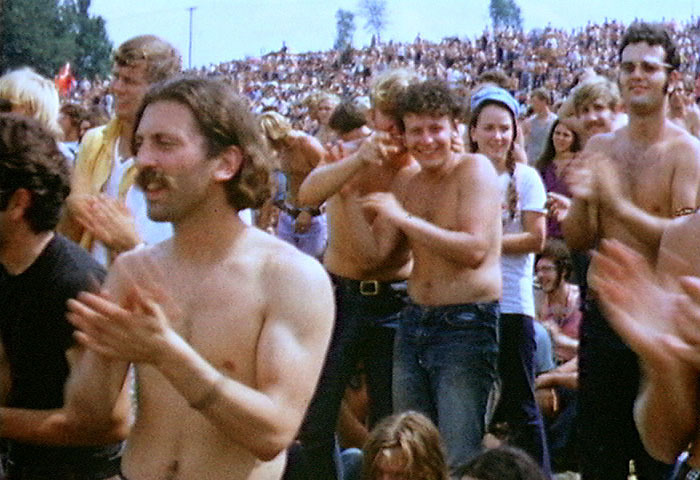 Photo from 1969 Woodstock Festival that has nothing to do with Peace Fair. Additionally, the SPCA hosted a dog training game, Delaware River Keepers and the Humane Society were represented, and the Audubon Society distributed information on its programs. 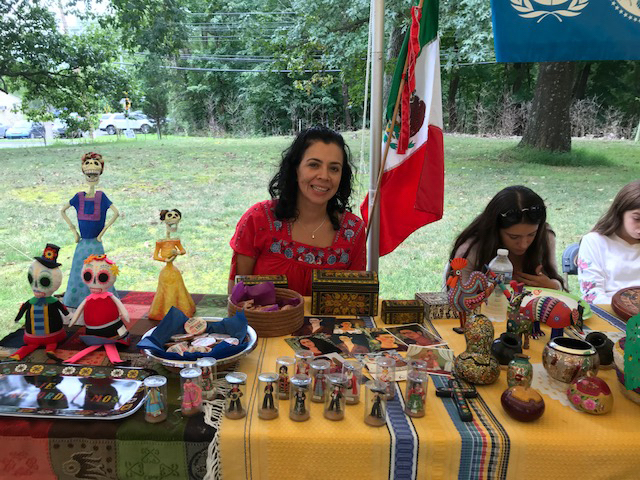 The United Nations Association brought families together to show off the cultures of Ecuador, Ethiopia, Argentina, the Philippines, Great Britain, and Mexico, among others. 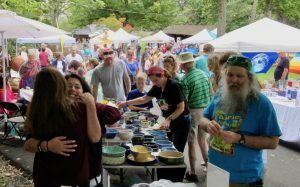 Highlights of the fair included singers Ecoman, Tookany Creek, and River Drivers, along with John Houghton’s “Houghtonanny,” a kid’s choir, and the Peace Band, a trio of high schoolers who have played together at the fair every year since 2007. And the poetry reading, with current and past Bucks and Montgomery County Poet Laureates, was held in the Buckingham Meetinghouse. Families perused more than 60 crafts and service tables, with many getting in some early Christmas shopping among the wood turners, stained glass makers, balloon animals, artists, handmade toys, and potters, among others. Toddlers enjoyed the self-powered Peace Train, while older children and teens helped out with the many tasks needed to run the fair. Peace Fair is sponsored by Bucks-area Quakers, who arranged for last Saturday to be the most beautifully comfortable outdoor day in months, said organizers. Exhibitors and vendors interested in participating next year can get more info at the Peace Fair website.